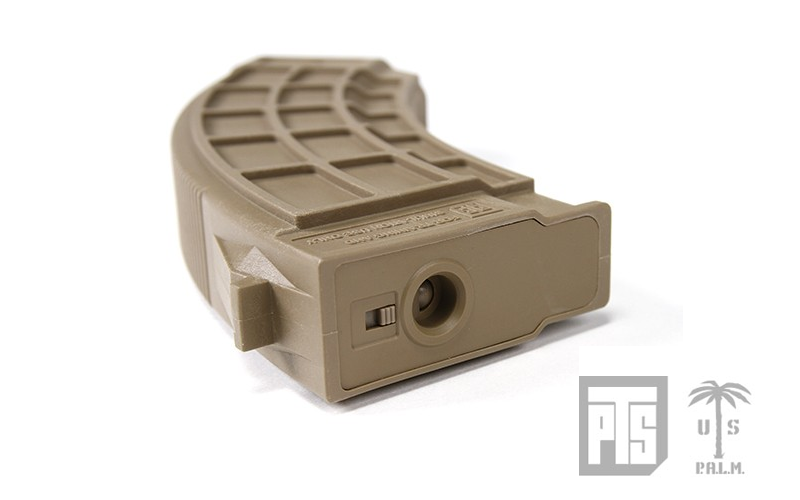 The US PALM® AK30 Airsoft Magazine is designed to be utilized by an operator in any condition. The aggressive ridges on the front and rear allow a positive purchase when seating the AK30 into the rifle. The deep waffle pattern on the magazine sides assist in rapid extraction from magazine pouches, and 100% positive manipulation within conditions beyond extreme. Every surface of the AK30 was given careful consideration to benefit the operator working in the harshest conditions on earth. 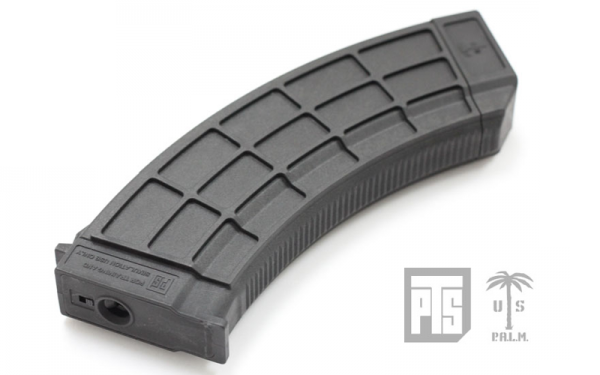 The PTS US PALM® AK30 Airsoft Magazine is virtually identical in appearance and feel with the real AK30 magazine. 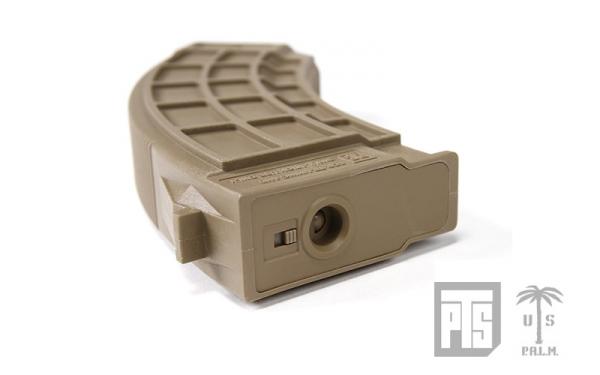 Like its real counterpart, the PTS AK30 magazine is precisely engineered and produced using reinforced polymer. It has a 150 round bb capacity. This airsoft product is manufactured under authorized US PALM® license. US PALM® logo and brand names are trademarks of SGC, LLC in the United States and/or other countries.